While great progress has been made in cancer research in recent decades, much about pancreatic cancer remains relatively unknown. The pancreas is an oblong-shaped organ lying behind the stomach that helps the body to digest food and regulate blood sugar. Symptoms of pancreatic cancer include weight loss, abdominal pain, poor appetite, jaundice and sudden onset or worsening of diabetes. However, due to their vague nature and the fact that symptoms typically don’t show up until the disease is in the advanced stages, it is very hard to catch this cancer early. Because of this, long-term survival rates are abysmally low. Surgery is currently seen as the only potential cure for this type of cancer, yet it is typically only offered to patients whose cancer has not spread to any blood vessels, distant lymph nodes or other organs, such as the liver or lungs. “While the figures vary by medical facility, that’s around 20 to 30 percent of patients,” says Ueno. American Michele Steele’s pancreatic cancer was initially declared to be inoperable. By the time the Gunma-based university lecturer was diagnosed in early 2016, she was already at Stage 4, as her cancer had spread to her liver and arteries. After a year of enduring chemotherapy at full strength to shrink her tumor, Steele underwent surgery to remove it from the tail of the pancreas, under Dr. Masaru Miyazaki at Mito Hospital in Tokyo. Eight months on from her surgery, Steele is doing well and is continuing her university teaching career. Steele has received encouragement and support from the Japan Pancreatic Cancer Action Network (PanCAN Japan) along the way. The NPO was started by Yoshiyuki Majima, who lost his sister to the disease in 2006. Based in Southern California at the time, Majima was inspired by the work of the Los Angeles branch of the U.S. Pancreatic Cancer Action Network and decided to create an affiliate back in Japan. “We have three missions: to advance research, support patients and create hope,” says Majima. 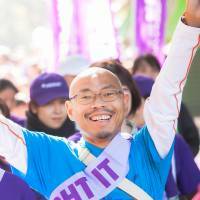 In addition to running an informative website, PanCAN Japan organizes seminars around the country and offers an information and counseling phone service on three afternoons a week. The group supports research projects and advocates for new medical techniques to improve both treatment for patients with existing cancers and detection for new patients. This includes funding to develop a blood test that may offer hope of early detection of pancreatic cancer in the future. Majima notes that one issue specific to Japan is the time lag for the approval of new drugs for use in this country. According to Majima, efforts to boost research funding have led to gradual changes in the five-year survival rate. Precision medicine is an individualized approach to health care that takes into account a patient’s genes, environment and lifestyle. In the case of pancreatic cancer, the process of molecular profiling can reveal biological details of the tumor, which can be used to find the optimal treatment. 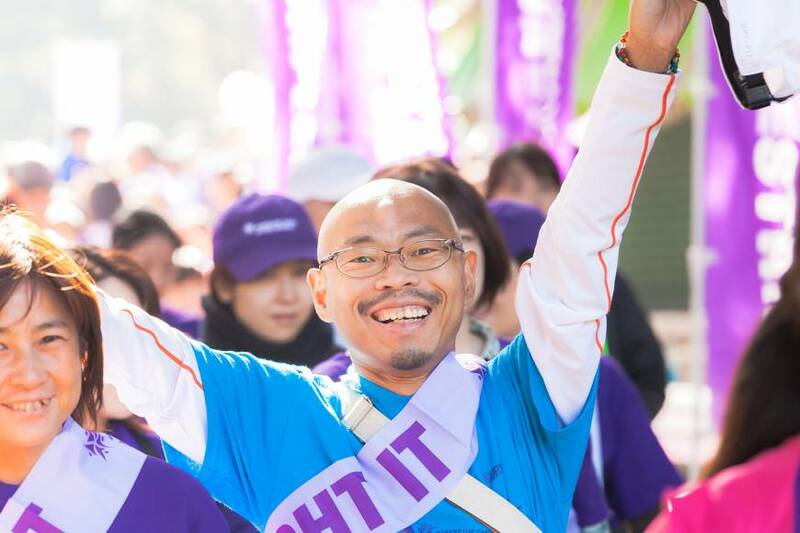 November is Pancreatic Cancer Awareness Month, and PanCAN Japan is organizing the Purple Stride charity run and walk event in Tokyo on Sunday, Nov. 5. Participants can run or walk 5 kilometers or run 10 km around the Imperial Palace. Runners and walkers can sign up in advance, but anyone is welcome just to show up on the day of the event, which also includes food booths and live music. “Purple Stride is for awareness-building, as well as a pancreatic cancer community event. We celebrate survivors and the progress we have made each year,” Majima says. For information on Purple Stride in Japanese and English, or to make a donation online, visit bit.ly/pancanrun. For the PALS telephone information service for patients and family, call 03-3221-1421, Wed. to Fri., 2-5 p.m. (Japanese and English). Send questions and comments to lifelines@japantimes.co.jp.